Experience for yourself what makes a tuktuk so special. Adventure and fun guaranteed. A tuktuk is a common public transport vehicle in Asian countries (especially in Thailand). Tuktuks have three wheels: two rear wheels and one frontal. Thanks to its electric drive , they are easy to control. It is a motorized rickshaw in which a number of passengers can be transported. 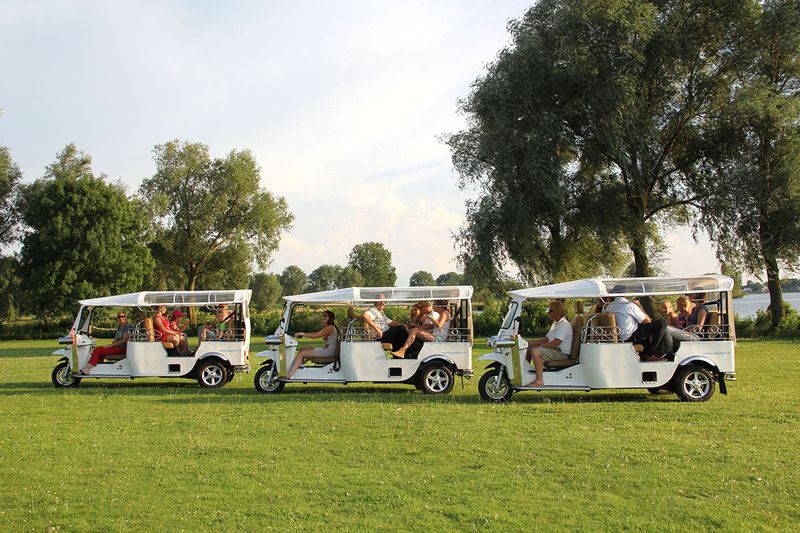 Step together with your company in a tuktuk and discover the Land van Maas en Waal area. Discover the Land of Maas and Waal area with a tuktuk. Find all hidden spots. Start your trip across the beautiful dykes of the Land van Maas en Waal area with this unique means of transport. You get a route map and several tips about nice stops on the road. Speed the the tuktuk up through the meandering dikes and polders. Every corner brings something new in the Land van Maas en Waal. Winding dikes, deserted islets and picturesque polders. The Maas and Waal area is versatile and interesting for all ages. Discover the area in your own way and at your own pace. Give the Dutch games of grandma’s time a try. Or challenge each other at the bowling alley. 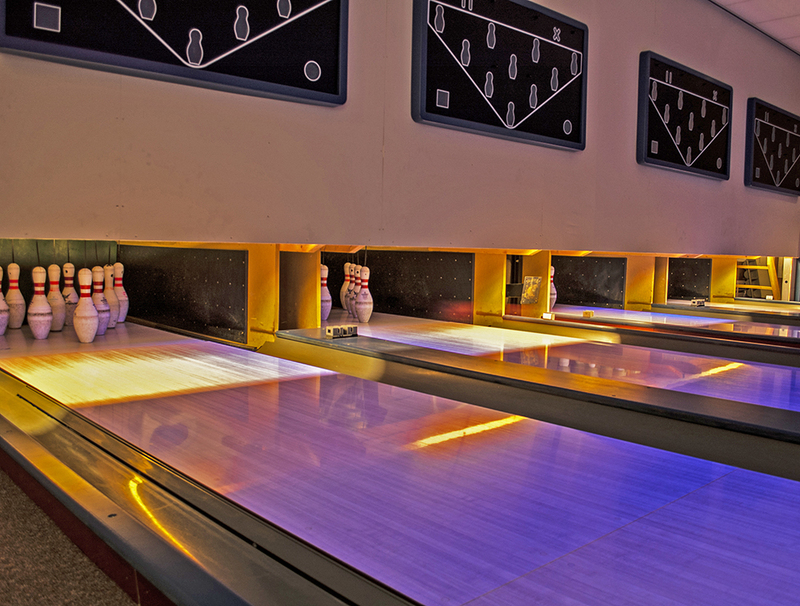 Bowling : cozy retro-style bowling with disco lighting and cheerful music. Indoor Disco-style Minigolf : try to play the 18 different courses with disco lights with as few strokes as possible. Old Dutch games : go back in time with the best old Dutch games. Escape room : try to escape it as quickly as possible by deciphering cryptic clues. Gather together at the table with the most delicious types of meat on the grill. Tasty long dinners in an atmospheric space. 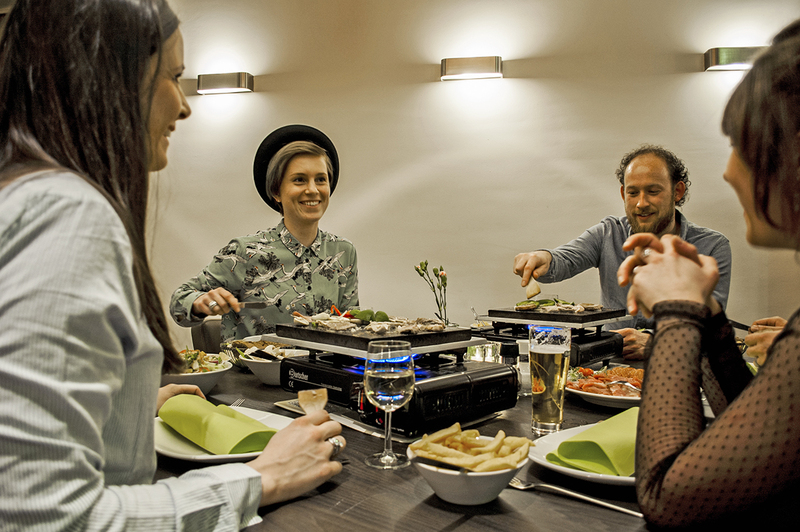 Make your day out complete with Dutch-style table grills(gourmetten). In the evening you can comfortably grill the tastiest meats indoors. You can choose between five types of meat, baguette with herb butter, fresh vegetables, various sauces, raw vegetables, French fries and a surprise dessert. Afterwards grab some drinks on our terrace or in our cozy bar. This package guarantees a complete afternoon and evening enjoyment! Reception with coffee / tea & cake followed by the Tuk Tuk Tour through the dykes. After a brief explanation, your trip starts through the Land van Maas en Waal area. You will receive a route map with various tips about what to do and where to go on the way. After the ride with the tuk tuk you can choose an activity to do. You can choose from: Bowling, Indoor Disco Minigolf, Old Dutch games or the Escape room (additional charge of € 11.00 per person). Afterwards it is time to gril! Grab some drinks on the terrace or in the cozy café. This package guarantees a complete afternoon and evening enjoyment! Deposit: € 250.00 per tuktuk. Driver can be hired separately on request: € 15.00 per hour per tuk. It’s mandatory having a valid B driving license and a minimum age of 21 years is mandatory to drive the tuktuk. Scheduling is very flexible to serve your needs. Maximum group size for tuk driving is 28 people, for larger groups we can make combine the rides with boating for example.